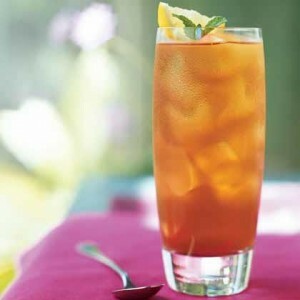 Ice Tea recipe by Mona at PakiRecipes.com. COOL the kahwa (one cup water with one teabag). Pour the cold kahwa along with juice, ice cream ,sugar and crushed ice in a blender. Shake it well and pour it in a glass, ready to be served.